Product feature:ingenuity appearance; economy; durability; color touch screen panel, handheld, 360°print. this system is in Online-editing for easy operation, with the color touch screen panel. Built-in multiple Chinese –English characters which owns the dot matrix fonts and printing fonts. You can adjust the size and height of fonts at random. The special anti-counterfeit font meet the requirement of prevent from fake goods. the handheld ink-jet system is very solid and durable, which can adapt to running in diverse harsh industrial environments, and 360°printing. The anti-blocking nozzle ensures printer long time running with trouble-free. The multiple protection of nozzle prevents the printer from damages caused by scratching and collision. 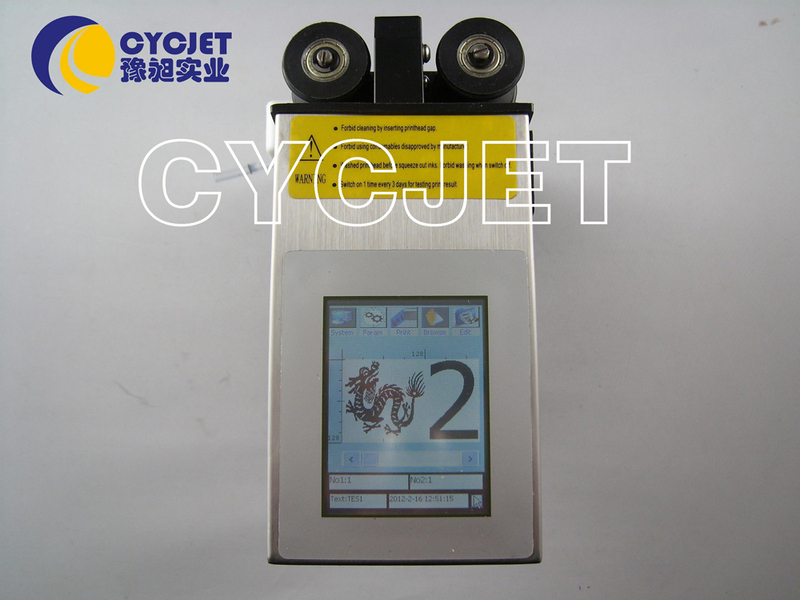 The reliability of ALT360 ink-jet system is superior to other products.